Sunglasses from this brand are the best of the market thanks to their technology. 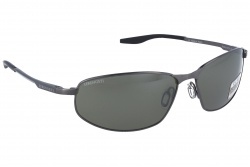 Their lenses adapt perfectly to different types of light conditions, allowing a great comfort in every moment. 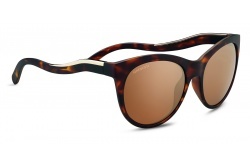 Serengeti sunglasses are made with first quality materials as titanium, stainless steel, acetate or injected nylon. This process guarantees a resistant and sophisticated product. Also, Serengeti models have ergonomic designs that adjust very well to the face. Another important characteristic from this brand is their silicone nose pads, which offer a better adjustment. Furthermore, their adjustable temples absorb humidity. In this way the frame will not move. The brand has a wide variety of specialized models for sports, driving or classic styles for daily use. 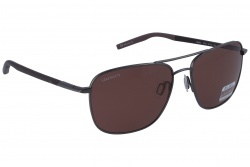 Serengeti users are satisfied because their glasses adapt to different light conditions. In low light conditions the lenses stay clear and in high light conditions the lenses adapt, being darker and avoiding any kind of glares. This brand’s glasses offer a 100% solar protection. Polarized filters allow removing the light reflected in horizontal surfaces. Also, they add colour intensity and sharpness to the image. Because of all these characteristics Serengeti polarized sunglasses are the best of the market, and they are perfect for driving. 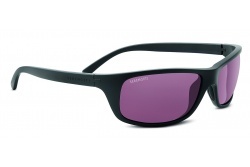 The technology that Serengeti introduces in their photochromic lenses is the best from the sector. Their lenses adapt their colour intensity depending on the light conditions. Lenses react quickly to light conditions avoiding glares and clearing to allow better vision even at night. 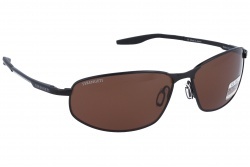 Serengeti has a wide variety of glasses that are perfect for driving. From 1985 the company works with Drivers lenses, characterized for the improvement of colours and contrast. At the same time the lens adjust to light in any condition. Furthermore, the brand launches Drivers Gold lenses, amplifying contrasts and colour definition thanks to its golden mirror. This characteristic makes these Serengeti lenses the most useful to drive in high light conditions. 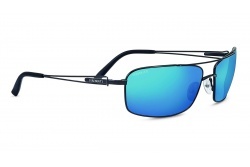 The brand also has Drivers Gradient lenses. They help drivers to get a precise vision of the road. These glasses adapt to both cloudy and bright days. The brand has a wide collection exclusive for men. If you are looking for a timeless design the model Modugno is a great option. This range provides the best comfort thanks to their adjustable nose pads and flexible temples. 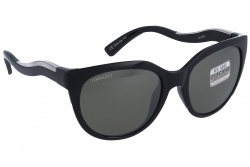 If you want a retro model that combines elegance and lightness, Lerici is your model. This range has a great variety of models in different colours, both in frames and lenses. Furthermore, the manufacturer creates frames combined with very light and flexible temples, providing great comfort. This characteristic can be seen especially in models as Maestrale y Nuvino. The brand also offers a great variety of sport glasses. For example, Bormio series are intended for outdoor activities as fishing. They have photochromic lenses and an elegant and light frame. It is specially created to remove any kind of annoying reflexes that appear in the sea and other horizontal surfaces. Inside the 2018 collection there is also a wide variety of glasses for women. The Isola range is the most elegant of the Signature collection for its polished frame and beryllium hinges. Their details make these glasses a high performance product. 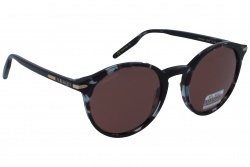 Moreover, the brand creates a model that combines curves and the cat eye shape, making them very attractive. Serengeti adapts this model to any kind of faces. On the one hand, we have the Lia range, intended for small faces, and on the other hand we have Valentina range, intended for wider faces. 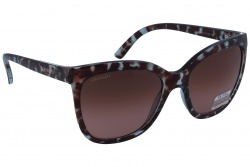 If you are looking for vintage glasses, Serengeti has some retro glasses as the Andrea model. This range has a feminine and glamorous touch thanks to its metallic finishing. In Optical H you can choose your Serengeti eyeglasses among a great variety of designs. 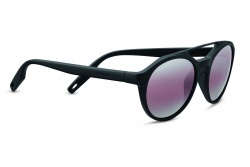 These models are made with the best materials, getting resistant and long lasting glasses. Designers are conscious that this kind of glasses are used for many hours, so they ensure that Serengeti glasses are comfortable and adjust to the face. With our team’s advice you will acquire Serengeti prescription sunglasses in a few steps. This brand has a wide catalogue of sunglasses where you can find the model that adjusts better to your preferences and taste. Inside the 2018 collection Serengeti has a lot of new models that maintain the company’s essence and style. The Nuvola series provides light and comfortable glasses. Its rimless design allows a wider visual field. Also, this series have Polar PhD photochromic lenses. 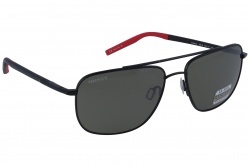 The Dante model for men has flex technology in its temples, making the glasses super adjustable. Another series that stand out is Sassari, made with a new technology, Wire-flex. Thanks to this new improvement, the frame provides comfort and lightness, without forgetting the high quality of its components. If you are looking for medium-big sized glasses for men, Trevisso has ultra-thin design, combining both classic and modern details and the highest comfort. On the contrary, if you are looking for a classic model as Aviator, you can purchase the Carrara model. These glasses upgrade the frame design thanks to a double flex hinge, for a wider range of adjust. 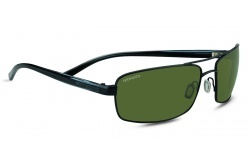 In Optical H the purchase of Serengeti glasses is easy and cheap. Our catalogue has a wide selection of models in which you can choose the ones that adjust better to your style. All our glasses have guarantee and certificate of authenticity. After the purchase, you will feel the satisfaction of wearing unique glasses. During the purchase our professional team will assess you and answer your questions, so you can find the best model for you. As we are official dealers of Serengeti sunglasses, we can also repair them and get spare parts for any kind of reparation. The brand was born in Florida in 1982. It quickly positioned in the market of polarized sunglasses of the best quality. Serengeti was pioneer in eye care with the creation of Drivers lenses. Furthermore, the manufacturer combined the characteristics of their lenses with new innovations: Photochromic technology, anti-blue light lenses, among others. Serengeti is a brand chosen by many celebrities as Val Kilmer, Peta Wilson, Patrick Dempsey, Alain Prost or James Denton. The company combines all qualities that you are looking for in sunglasses: High performance, protection and style.